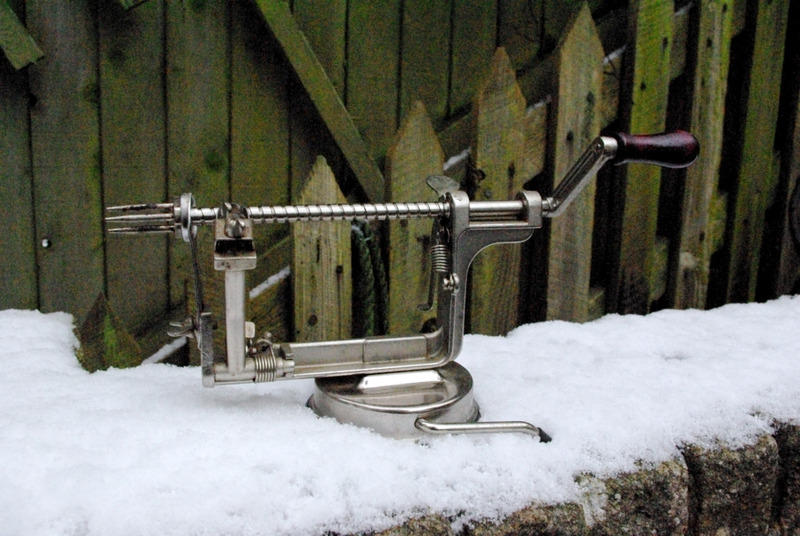 Item: Ancient instrument of torture… OR useful apple peeler, corer and slicer? Where and when did you get it? : I’ve chosen this little mechanical device, a gift from my brother around 20 years ago, because it’s fascinating, and has given us lots of laughs and interesting conversation as visitors to the house try to fathom out its use. It’s quirky and ingenious, and until recently I’d never seen another one, but now it’s available through Amazon, in Lakeland and elsewhere. Click here to see it in action!